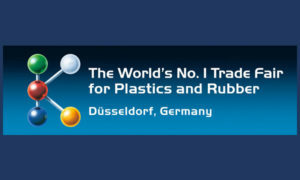 Happening once every three years, K, the World’s #1 Trade Fair for Plastics and Rubber, took place October 19-26 in Düsseldorf, Germany. 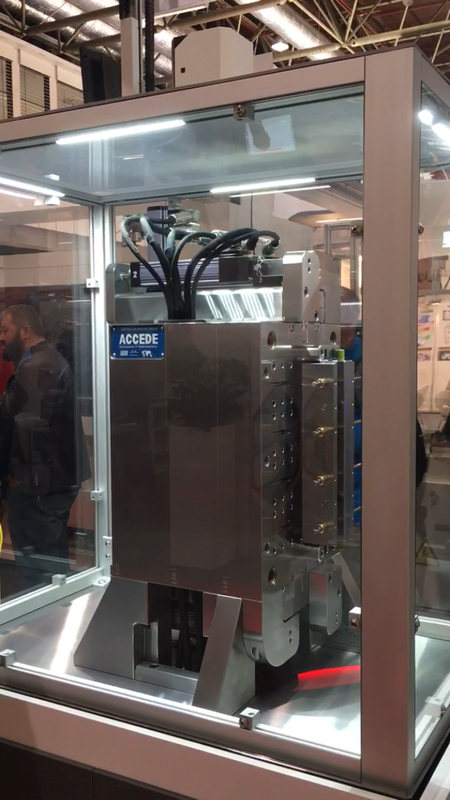 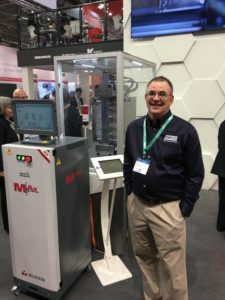 Accede has designed and built a multi-axis servo display utilizing the new Mold-Masters M-AX servo axis controller, Milacron’s most technologically advanced controller to date. 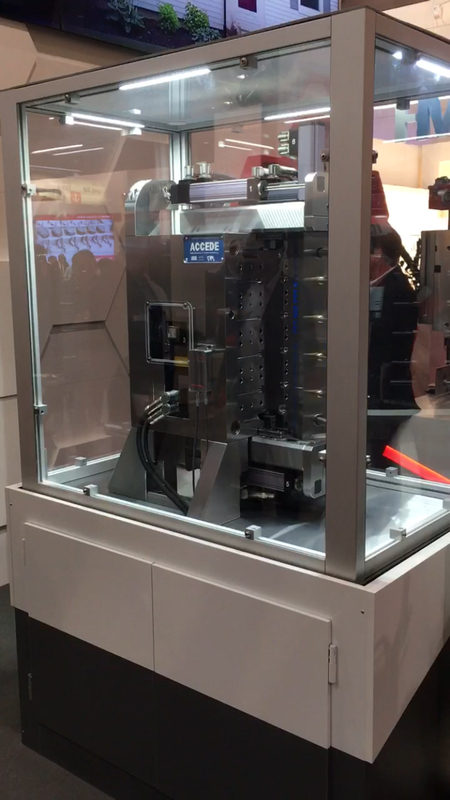 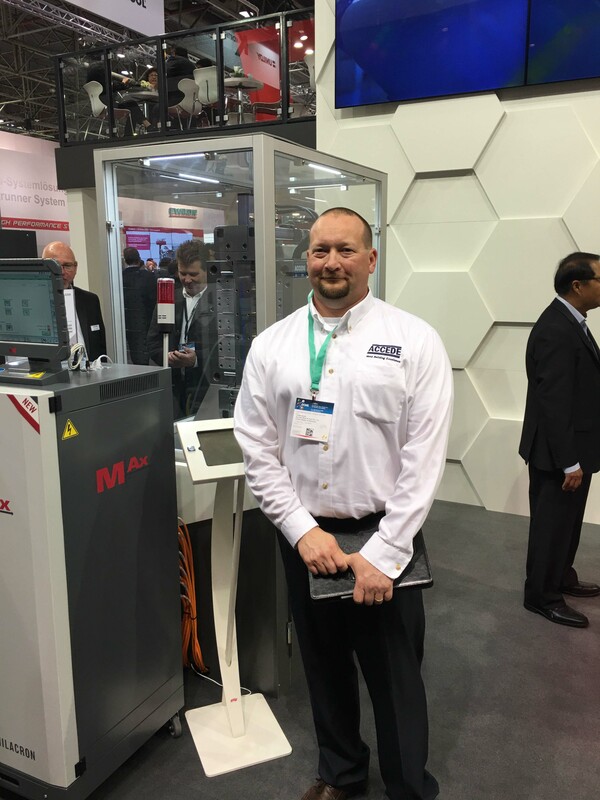 This brand new technology was on display in the Milacron MDCS booth. 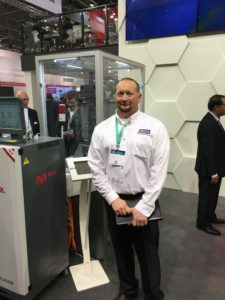 Our staff had a great time during the show. 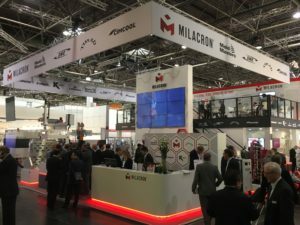 You’ll find photos below from the show.